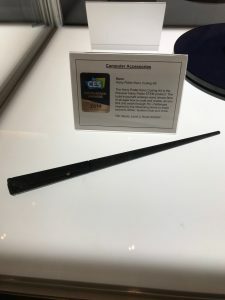 At e-attract, we have discovered this year the CES. We are not the only ones, not the first ones, and we will not be the last ones, given the success of the event! However, we wanted anyway to share the innovations that have marked us and what we remember of the biggest global high-tech meeting place – without stonewalling and talking about us. 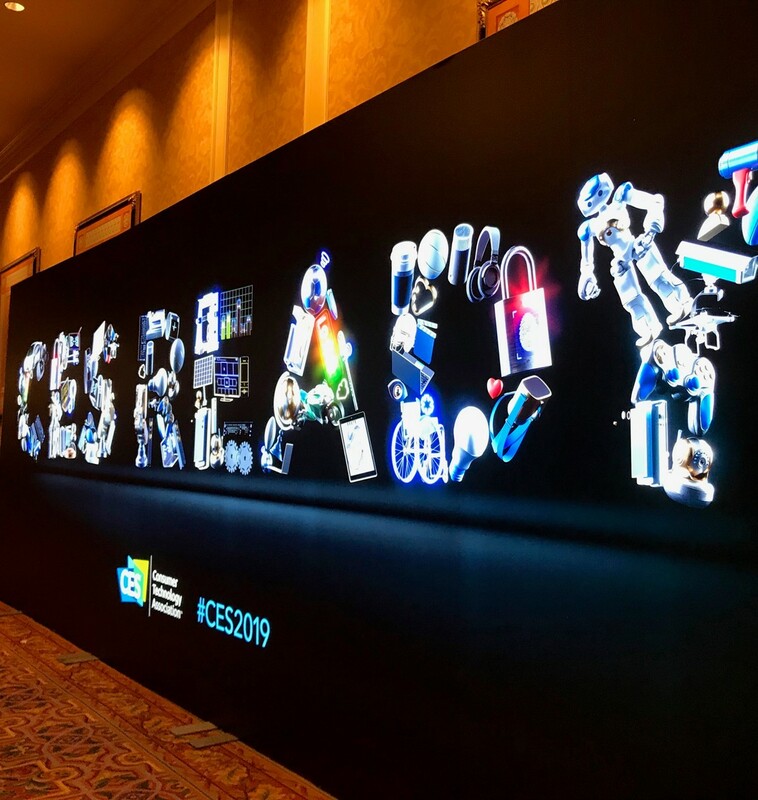 … Then there is no question of giving you here the complete report of all the good and nice things we have done at the CES for the future of e-attract… and therefore for the planet 😉. Let us simply giving you a taster of the magical getaway you could have next year, provided of course you convinced your partner (of what, we let you choose!). 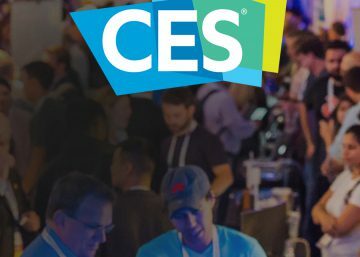 The CES, a magical getaway! The Sardine is no longer in the Marseille port… It left for the Luxembourg! 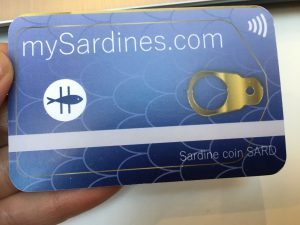 The first cryptocurrency by MySardines! We are not kidding. To be honest, we did not check neither the hypotheses on the underlying rarity of the sardine, nor on the regulatory evolutions, and even less on the product quality that improves through the time… But we have been seduced by a cheerful team and especially by this attempt to bring physical world and virtual currency closer around a mass market product. We believe it is part of the CES spirit. Children, code, testing… with a magical spark. It is difficult not to want to try this… and not to believe in a magical future in a digital age. They are really marvellous these Swiss: offer the freedom to fly with a VR headset, a fan and also a lot of automation. Impressive results… even if we don’t see exactly what is going to change in our everyday life! 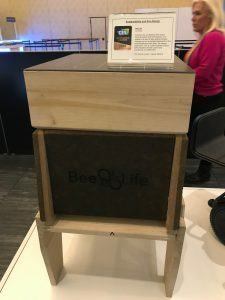 Because we must keep our feet firmly on the ground, and because bees are our friends and especially ones of an agriculture in danger for the planet… We hope this hive will contribute to their safeguard. As you may have noticed, we care about the tech at the service of people and our living environment. 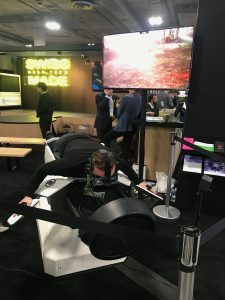 Of course, it is impossible to describe you all the connected objects presented at the CES which might change your life. A big hats off to our neighbors – Y brush – who have been a hit with their 10-second toothbrush. And thank you to our Belgian friends… who never lose the sense of welcome. The gigantism of the exhibition area. Gathered on the Eureka Park, we could forget the excessiveness of this international event, where we must use public transport (monorail) to simply join the different sites! What a pleasure to wander in the universes where the biggest global brands compete – of course of innovation – but also and especially in their demonstration of marketing force. Sport, sleep, health, well-being, food… everything is here. With an obvious concern for the visitor’s experience! Secondarily, still a city built on a crazy economic model, which might not delight all the followers of a certain rigor… but which seems to be built in order to welcome this great innovation event: either for its hosting and services capacity for a huge crowd (180,000 visitors over the 4 days! ), and for the energy that emanates from this event! Norbert Alter said more or less that innovation is a matter of deviance! (L’innovation ordinaire, 2010). Then here is a free piece of advice: next year, renounce to a week in the European winter and to its Alpine pleasures, and come to test your capacity to be out of the norm! 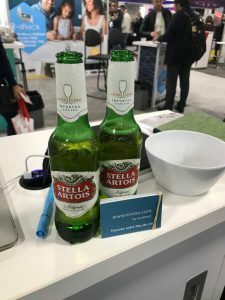 The CES & Las Vegas, clearly an interesting melting pot for Your Innovation! The French Tech, the Auvergne Rhône-Alpes Region (Étienne Blanc and Juliette Jarry), Minalogic (Isabelle Guillaume, Philippe Wieczorek, Damien Cohen) and the agency of Rhône-Alpes companies, all actors of the collective success internationally of our start-ups. Our stand neighbors and delegation stooges… A special thought to Teamoty and SeetyZen… surely many other things to do together! 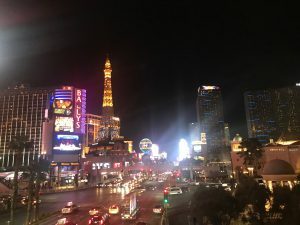 A special dedication to the team of e-attract, which does a great work on our products and which finds the energy to best organise our presence in Las Vegas. 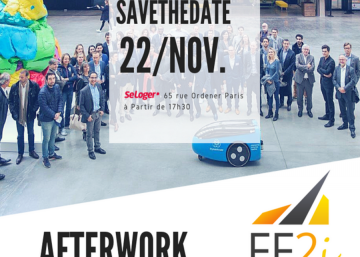 And of course the partners that make this adventure possible for e-attract: Total Développement Régional, Bpifrance, Réseau Entreprendre, but also IGN Fab, LAET and Pulsalys.